From mid-May to September, you may be required to use a free shuttle from Badger Pass to Glacier Point between 10 am to 4:30 pm when the Glacier Point parking lot fills. If you arrive at the Badger Pass turnoff before 10 am or after 4:30 pm, you can drive to Glacier Point (and all trailheads). 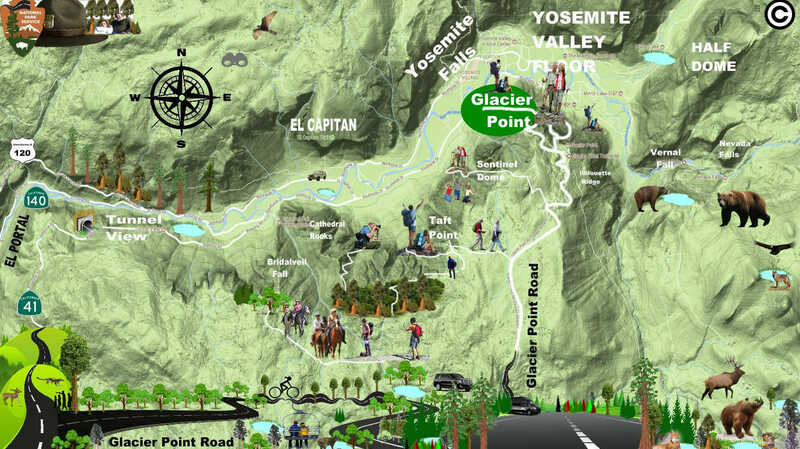 If you arrive between 10 am and 4:30 pm and the Glacier Point parking lot is full, rangers will have you park at Badger Pass and use the free shuttle to get to Glacier Point or other locations along the Glacier Point Road. Parking is available at Badger Pass for RVs and trailers, but not for full-sized commercial buses. Sentinel Dome is a granite dome that lies on the south wall of Yosemite Valley, 0.8 miles southwest of Glacier Point and 1.4 miles northeast of Profile Cliff. Sentinel Dome is known for the iconic Jeffrey Pine that grew from its peak and which photographed as early as 1867 by Carleton Watkins, and was the subject of a well-known photograph by Ansel Adams. The tree died during the drought of 1976, but remained standing until August 2003. 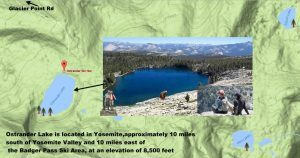 The hiking trail that takes you to the base of Sentinel Dome, is a relatively easy 1.1-mile (1.8 km) hike. The trailhead, the same as the Taft Point trailhead, is located 6 miles (9.7 km) from Bridalveil Creek on the Glacier Point road. Once at the base, hikers traverse the less imposing northeast granite slope to the summit. In winter, Sentinel Dome can be reached from Badger Pass by a 10-miles ski tour. 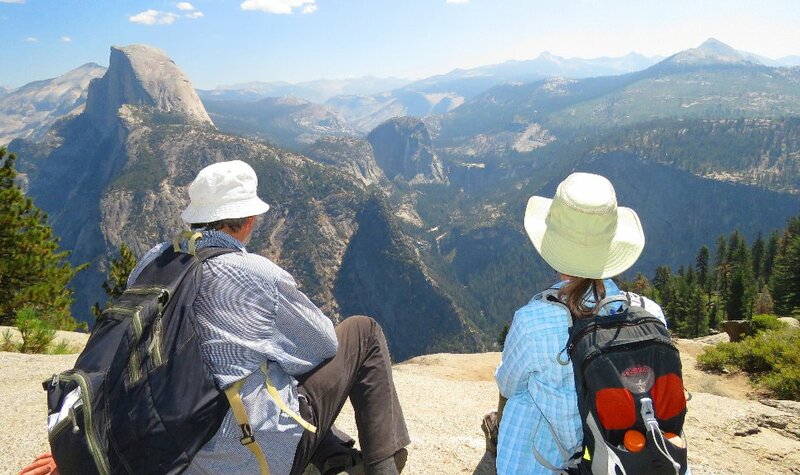 The view from the top offers a 360-degree view of Yosemite Valley and surroundings. 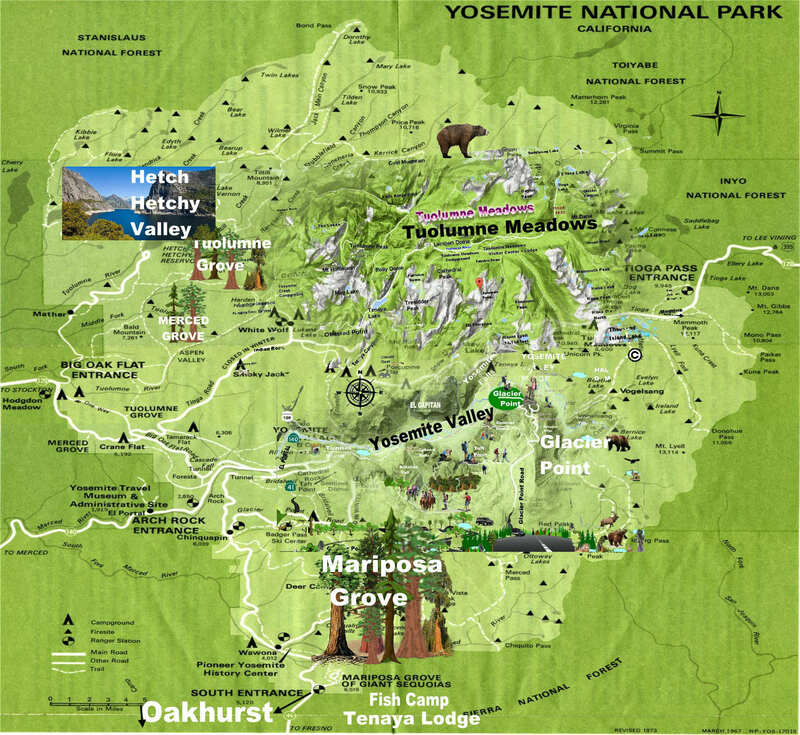 One can see Half Dome, El Capitan, Yosemite Falls, North Dome, Basket Dome, and much more. Sentinel Dome provides a 360-degree view of the night sky and it and nearby Glacier Point are popular places for stargazing. Taft Point is a viewpoint in Yosemite National Park, it offers wide views of Yosemite Valley, Yosemite Falls, and El Capitan. However, the main attraction of Taft Point are the giant fissures in the mile-high granite rock. The fissures are breaks and cracks in the mountain, that drop directly down to the valley floor at some points. 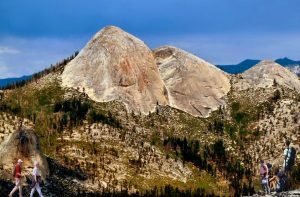 The point is named after the 27th President of the United States William Howard Taft, who, according to newspaper accounts, came across the point when he visited Yosemite for three days hosted by John Muir in October 1909. It wasn’t until our 5thtrip to Yosemite that we decided to explore these 2 gems. Only about 3 miles from Glazier Point, it is often overlooked. 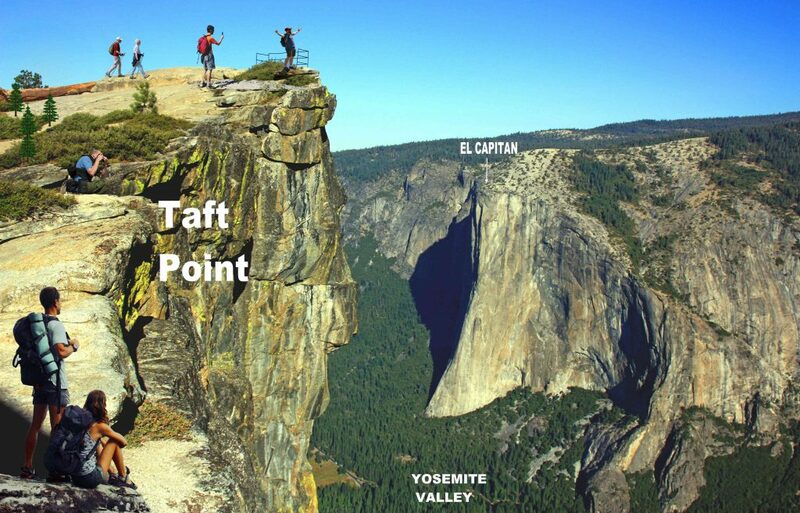 From the parking lot off Glazier Point road, and a 1-mile easy hike to the left, is Taft Point where you will test your fear of heights as you can look down the cliff to the valley floor below with no railing protection. Towards the right of the parking lot, and 1 mile further in, is Sentinel Dome where you can get 360 degrees view of Yosemite (similar to that from Half Dome but w/o the 18 miles hike). Ostrander Lake (a strenuous hike)11.4 miles (18.2 km) round-trip; 8 to 10 hours. Begin at Ostrander Lake trailhead (1.3 miles east of Bridalveil Creek Campground turnoff). The first half of this trail inclines gently through forest and meadow. Observe severe scars and regrowth from a 1987 lodgepole pine forest fire. A steep 1,500 foot (450 m) elevation gain opens up to views of Yosemite Valley domes, Mount Starr King, and the Clark Range. A short final ascent leads to beautiful Ostrander Lake. Glacier Point to Yosemite Valley (More strenuous hike and required a full day), Four Mile Trail: 4.8 miles (7.7 km) one-way; 3 to 4 hours. While on panorama Trail for 8.5 miles (13.6 km) one-way; 6 to 8 hours. You can also begin at Glacier Point (Four Mile Trail begins north of the store; Panorama Trail begins south of the store). 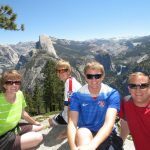 It is strongly recommended that you take the hikers’ bus to Glacier Point and hike down, rather than parking at Glacier Point and planning to catch the hikers’ bus back up. The Four Mile Trail switchbacks down to Yosemite Valley, providing wonderful views of the Valley. The Panorama Trail provides a close-up view of Illilouette Fall and panoramic views of eastern Yosemite Valley before joining the Mist or John Muir Trails down past Vernal and Nevada Falls. Mono Meadow to view of Mount Starr King (strenuous). 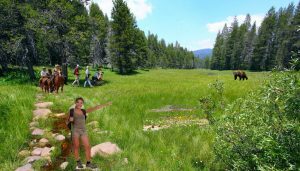 The trail descends steeply to Mono Meadow–an area that is very wet throughout the summer. Expect log crossings over creeks and lots of mud. Follow the trail from the east end of the meadow for a half mile (0.8 km) to an unmarked clearing. From here, enjoy magnificent views. McGurk Meadow, Bridalveil Creek, and Dewey Point (moderate hike). The trail leads downhill 0.8 miles (1.3 km) to McGurk Meadow and the site of an old cabin that belonged to John McGurk. One mile (1.6 km) beyond the cabin are trails west to Dewey Point and east to Bridalveil Creek. During July, the meadows in this area are a great place to see wildflowers. Seasonal Closure: The Glacier Point Road is usually closed in the winter from November to late May, but this vary from year to year. 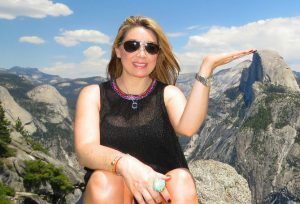 Located on the south wall of Yosemite Valley, Glacier Point offers spectacular views of the Yosemite Valley, Half Dome, Vernal and Nevada Waterfalls. 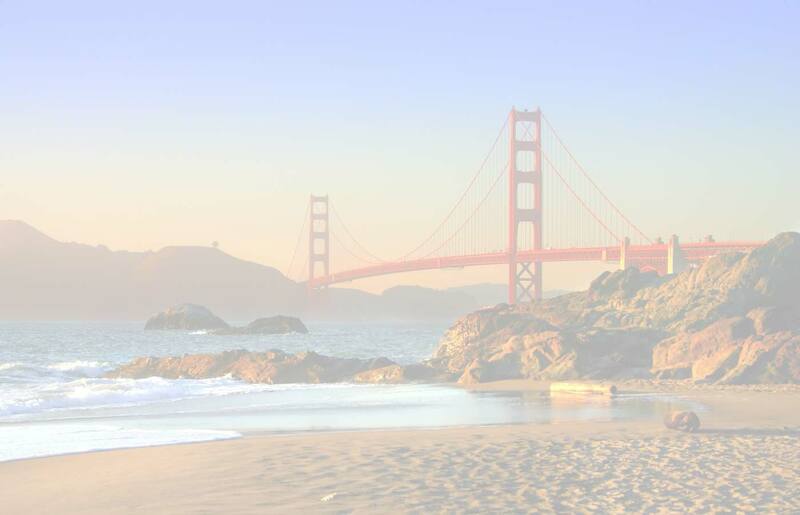 If you can make it, sunrise and sunset are the best times to go. 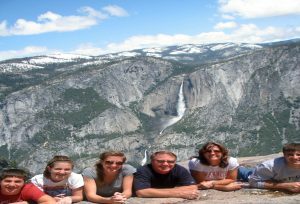 From Glacier Point, visitors can enjoy stupendous and sweeping views that stretch out over the Yosemite Valley hanging cliffs, domes, including Half-Dome, and the stunning high country. Glacier Point road is only open to vehicles in summer from May through October (but this may vary based on weather and road conditions). 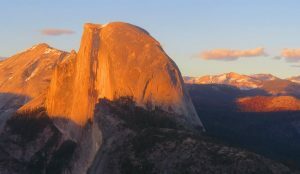 Sunrise or Sunset at Glacier Point – One of the best view of the Yosemite Valley and Half Dome is from Glacier Point, and no better time to visit it is during Sunrise/Sunset. Many photographers try to capture that perfect shot here. Check the sunrise/sunset time and bring warm clothing as it can get quite cold. Washburn Point Overlook: Washburn is often confused with Glacier Point. This is the overlook on the way down to Glacier Point. 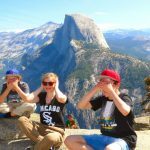 This incredible commanding alpine overlook rises above 7,500 feet (2,280 meters), and offer amazing views of Half Dome, Illilouette Falls Staircase consists of Nevada and Vernal Falls. Glacier Point Road is accessible via Wawona Rd, but is closed from November through May (which may vary based on road and weather conditions). Tip: This is an extended winding drive up from the Valley and some might be tempted to postpone this trip as the long winding drive into the park Parking can be problematic. In summer, park rangers do not allow visitors to drive all the way to Glacier Point due to traffic congestion and parking availability at Glacier Point. Be aware that you will have to park at the parking lot of Badger Pass ski resort and take the shuttle to Glacier Point. This can be frustrated and waste a lot of time. For that, we highly recommend booking a private SUV-guided tour to save time and hassle.